Do the Roses get through the fifth season of the Schitt’s Creek TV show on Pop smelling like a rose? 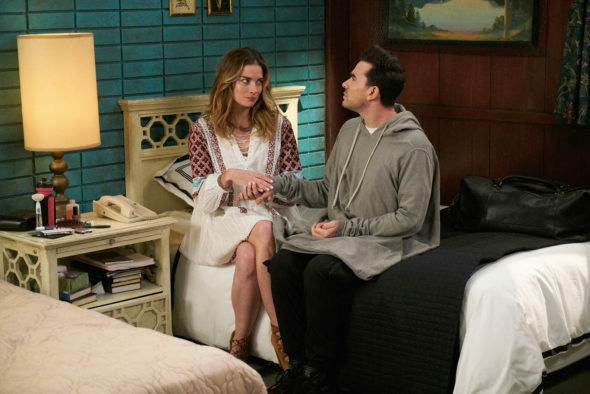 As we all know, the Nielsen ratings typically play a big role in determining whether a TV show like Schitt’s Creek is cancelled or renewed for season six. Unfortunately, most of us do not live in Nielsen households. Because many viewers feel frustration when their viewing habits and opinions aren’t considered, we’d like to offer you the chance to rate all of the Schitt’s Creek season five episodes here. *Status update below. A Pop fish out of water comedy from Eugene and Daniel Levy, Schitt’s Creek stars Eugene Levy, Catherine O’Hara, Daniel Levy, Annie Murphy, Chris Elliott, Jennifer Robertson, Emily Hampshire, Dustin Milligan, Tim Rozon, and Sarah Levy. The Canadian sitcom centers on the once wealthy Rose family, who lost nearly everything, when the government collected on years of back taxes. Their only retreat is the backwater town of Schitt’s Creek, the family’s last remaining asset. Now they’ve got to learn to live with the locals, while they plot to regain their fortune and status.